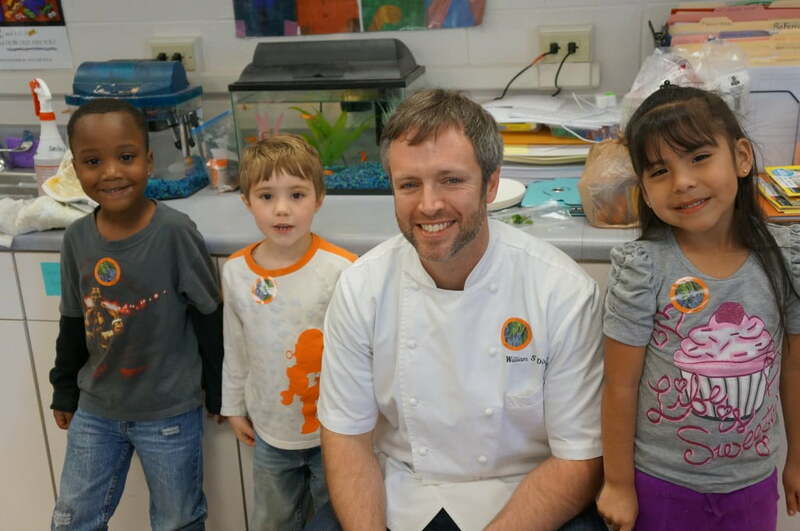 Kindergartners at Hall Fletcher Elementary in Asheville enjoyed a special treat when Chef William Dissen from the Market Place restaurant led them in making garden fresh pizzas on an early spring day. 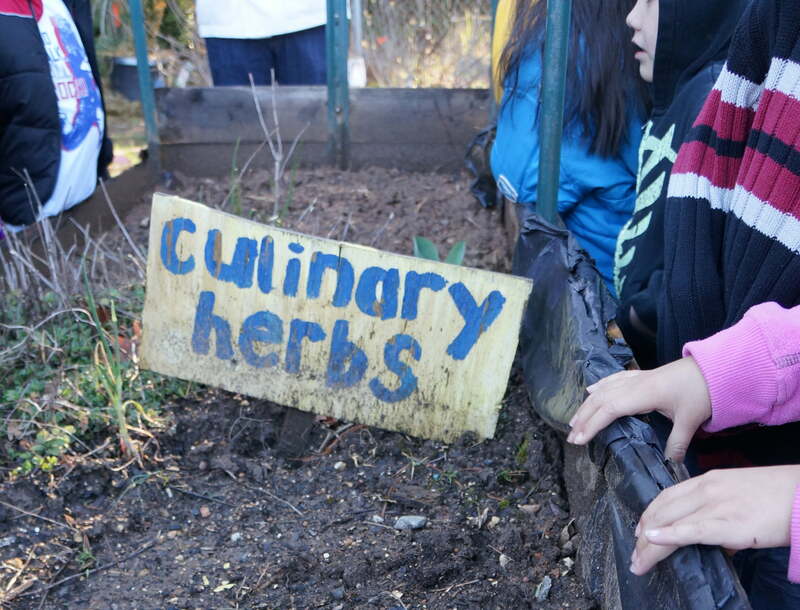 Students started the lesson with a trip outside to the school garden where they learned about what vegetables and herbs need to grow and planted garlic chives. They harvested oregano from the herb garden and went back inside to make their very own pizza creations! 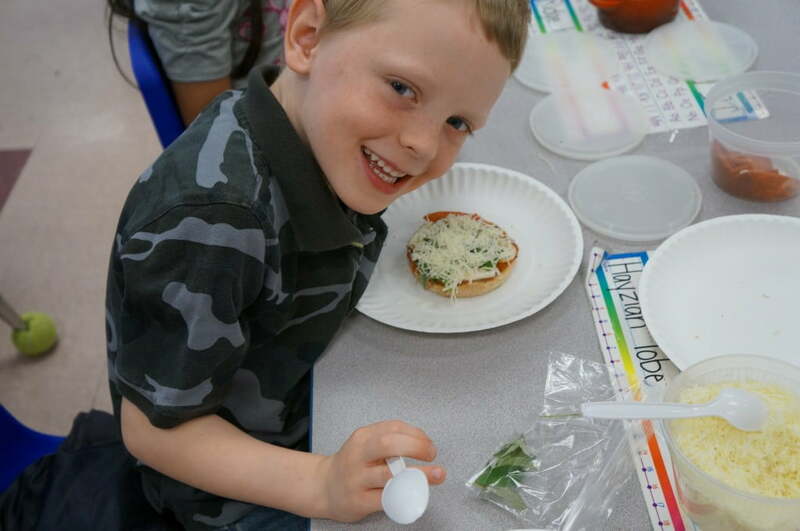 Chef Dissen brought along lots of ingredients to choose from, and students piled their English muffins high with local trumpet mushrooms, local arugula, pepperoni, cheese, onions, and tomato sauce. They were careful to not forget the sprig of oregano that each of them had picked themselves. After a few minutes of baking in the cafeteria ovens, the pizzas were ready to enjoy. Garden pizzas were a hit with students and teachers alike. Thanks Chef Dissen for a delicious morning!